It can be as small as buying a new place mat for the meows food dishes. 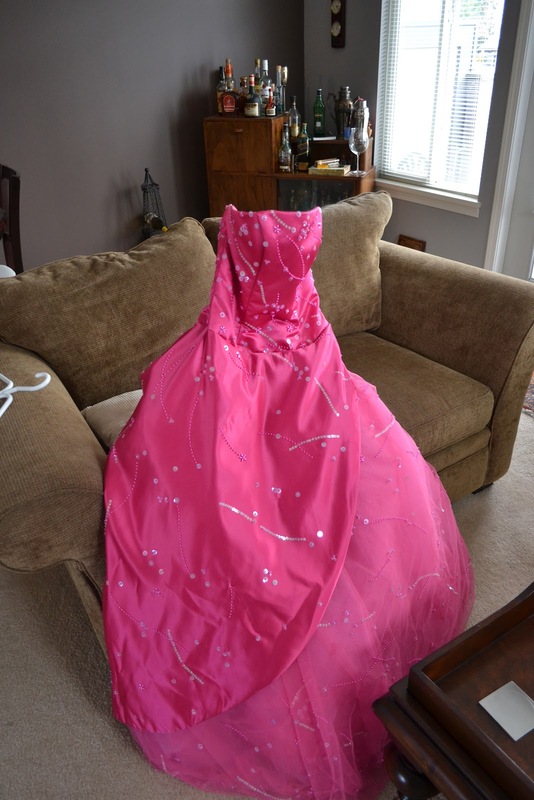 Or keeping your hot pink prom dress for ten years before donating it. It can be overpaying for a dozen roses on a Tuesday. Pvr-ing Ellen so you can watch Sophia Grace and Rosie talk about the Grammy's. 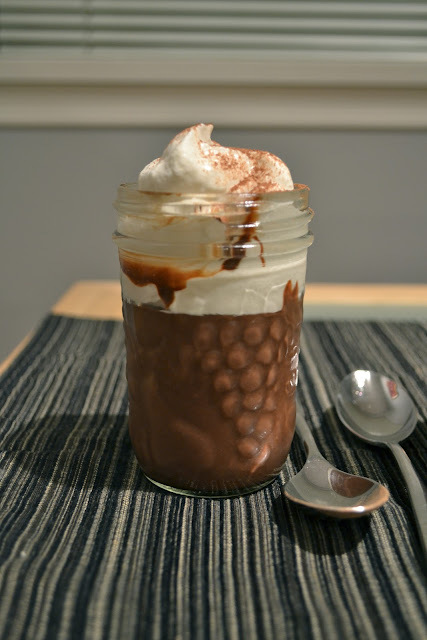 But mostly in our house, it's about chocolate pudding. With an impending arrival, we decided to keep it low key in our house for the big love day. We usually don't go out for Valentine's day anyways, but we didn't want to plan anything crazy just in case we were going to be making our way to the hospital. The husband bought me roses, I made him chocolate pudding. It was a fair trade. The husband has a small "obsession" with pudding. He loves the pre-made cups of pudding and has been known to eat several each night. But the past few weeks, he's told himself he doesn't need the pudding sand has been on a pudding-free diet. So as my show of affection, I made chocolate pudding for our love day dessert. If you've never made homemade pudding, or just attempted the powdered mix from a box, don't be scared. It's not different than heating milk on the stove and whisking constantly. The result is better than any box mix or pre-made cup that you are going to find. It's creamy, dreamy, chocolaty, perfectly set, and topped with a dollop of sweetened whipped cream and dusted with cocoa powder, it's more fancy than any overpriced cake you'll buy on Valentine's day. In a medium sauce pan, whisk together the sugar, cornstarch, cocoa powder, and salt. Add the milk and egg yolks and whisk until combined. Over medium-low heat, whisking constantly, cook mixture for 8 - 10 minutes or until it thickens. Remove pan from heat and whisk in chopped chocolate and butter, until completely melted. Pour pudding mixture through a fine-mesh sieve into a bowl. Cover the top of the pudding with a piece of plastic wrap to prevent a skin from forming, unless you like pudding skin, then leave uncovered. Refrigerate for at least 2 hours, until cool and set. Divide pudding into 4 servings and top with sweetened whipped cream and dust with cocoa powder.